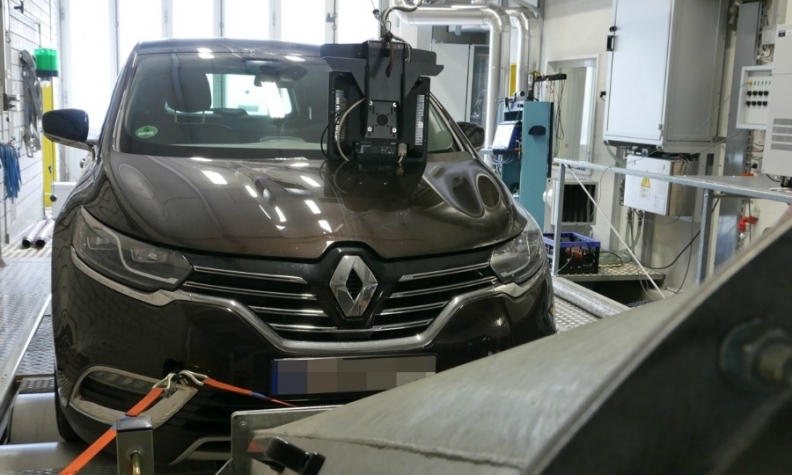 German environmental lobby group Deutsche Umwelthilfe said NOx emissions from a Renault Espace 1.6-liter diesel were up to 25 times higher than allowed. (Bloomberg View) -- Just because Renault is smaller, less prominent and -- by early reports at least -- less duplicitous than Volkswagen Group there is no reason to dismiss Europe's latest emissions-testing scandal. That's because the larger outrage here is Europe's flawed emissions-testing system. French investigators have raided the offices of Renault, including those involved in regulatory certification and engine-control systems. Testing by a watchdog group had already shown that Renault's cars were emitting as much as 25 times the levels of nitrogen oxides allowed by the European Union. Nitrogen oxides, which are common in diesel exhaust, are carcinogenic and form a main component of smog. They also contribute to climate change, albeit not as much as the carbon dioxide that gasoline engines release. More than half of new cars sold in Europe are diesels. Speculation is widespread that the Renault raid is meant to find evidence of a "defeat device" like that used by VW to game U.S. emissions testing. Device or not, if it turns out Renault's cars are producing more emissions than were measured by Europe's easily-outmaneuvered testing-lab system, then they need to be taken off the road. Unfortunately, Europe seems intent on keeping them there. Largely at the behest of Germany, whose auto industry is the world's fourth-largest, the European Parliament has been moving to severely water down NOx standards. Under the new plan, cars would be able to exceed future nitrogen oxide limits in on- road testing by up to 110 percent until January 2020, and by 50 percent thereafter. On Thursday, an imminent vote on the diluted standards was delayed until early February after the body's environmental committee overwhelmingly recommended rejecting them. The extra weeks will give manufacturers more time to make their case. A Renault scandal seems unlikely to change this political picture, in part because the French government itself owns 20 percent of the company. But even if the EU wants to cling to its dream of "clean diesel," European countries and cities should not. The German government, in particular, should rethink its decision to reject a proposal to raise taxes on diesel cars. Many European cities have their own clean-air laws that could be applied to bus and taxi fleets or to keeping polluting cars out of crowded urban centers, as Paris has pledged to do by 2020. Such local restrictions they would put pressure carmakers to lower all emissions. And where both national and local authorities refuse to act, environmental groups can look to the legal system, where they have had success before. The potential downside of curbing nitrogen oxides is that carmakers may simply switch back to carbon-dioxide-belching gasoline-powered cars. A better strategy would be to invest in truly clean, high-mileage diesel engines. Or, better, follow the market toward plug-in hybrid and electric vehicles, sales of which boomed in Europe last year even as they fell in the U.S. In the end it may be up to consumers to force change. After all, while climate change caused by carbon dioxide is a somewhat abstract concept, the choking effect of NOx emissions is not just in front of but in their very eyes.